Three weeks come and gone, and what do we have to show for it? Not quite 6000 new miles on the odometer. A nice, even tan across parts of my head that, in earlier years, never knew sunlight. Eleven orphaned socks. A fuel pump that wouldn’t survive the Continental Divide. Me, I’m rethinking life on the road. The idea (my wife’s) was nothing if not efficient: the kids get their Great Western Adventure, I promote my new book, The Day in Its Color, and together we look closely at the changes that have unfolded in an American landscape documented by amateur photographer Charles Cushman, during his travels from 1938 to 1968. 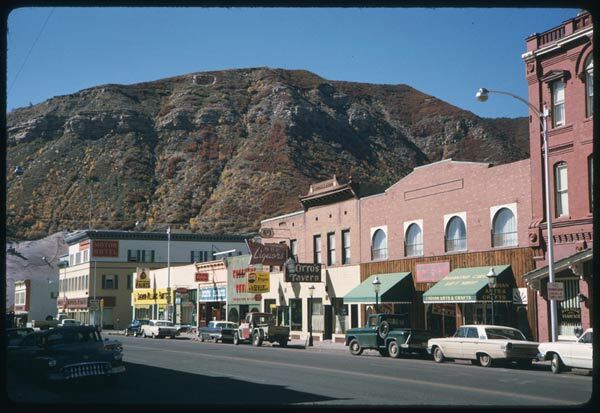 Main Ave., Durango, Colorado, 1965. Charles Cushman Photograph Collection, Indiana University. 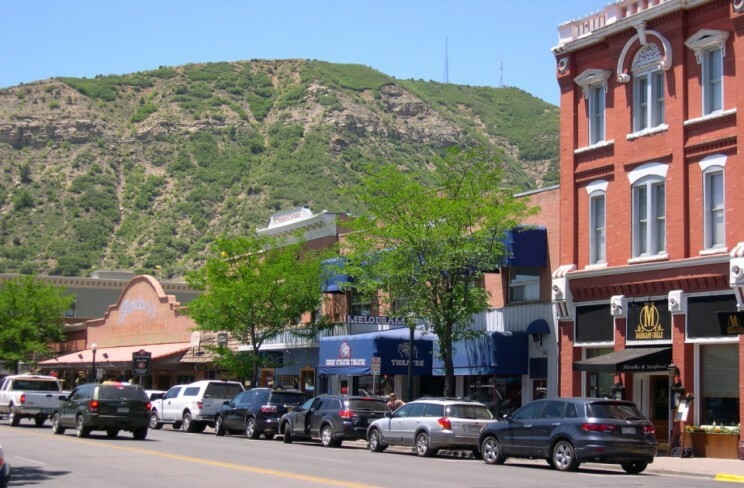 Main Ave., Durango, Colorado, 2012. Photo by Eric Sandweiss. Family Enrichment: “What’s the Internet password?” is the new “Are we there yet?” The Grand Canyon could be a pretty cool place if they got decent wifi on the North Rim. Book Promotion: Selling books is a handcrafted, one-on-one operation — like selling roses on street corners or seeking quarters for a cup of coffee. It promises profits at a similar scale. Changes in the Land: The geological epoch of 1938-2012 has brought little change to the countours of mountainsides and valleys. 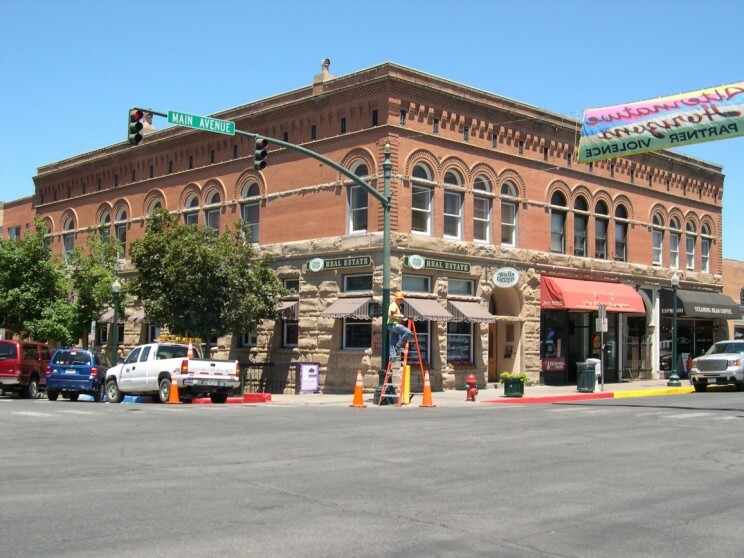 Here in the world of human life-spans, small towns have either decided to attract new business by dressing themselves up to look like small towns or have withered from indifference. Central cities worked better seventy years ago, when there was plenty for bums to do, than today, when there’s not (the bums are still there, in any case, looking for something to do). Not a bad tally of lessons learned, all in all. But the least expected insight from this multi-purpose trip is perhaps the hardest to swallow. Having traveled about one percent of the distance covered by Cushman and his wife Jean in their decades on the road, I’m already reminded of how much more of their lives yet remains hidden behind the seeming plenitude of his photographs. It’s a long, long day that yields a handful of images. Surrounding the few fractional seconds required for those pictures lie million more uncaptured images of the world that presses in on us hour after hour: pills on the sink; a used towel on the bathroom floor; the gas pump; the wrong turn; unspoken words in an unwinnable argument; the gas pump; the static on the radio; the gas pump. Do we want to remember these images? No. Do they dominate our actual experience? Absolutely. Charles and Jean Cushman never had audio books, but my family and I allowed ourselves this modern indulgence. One of the titles we chose for the trip was Jack Kerouac’s On the Road. Thirty-five years after my first encounter with the epic, Kerouac’s prose struck me tiresome, endless — in his own word, “beat.” The narrated book unfolded in our car as if in real time, rarely omitting a bump on the road or a morning coffee break. This was part of the novelist’s point, of course: hold up a mirror to life, capture as spontaneously as possible the fullness (and even weariness) of the long journey without pausing for selection, reflection, interpretation. 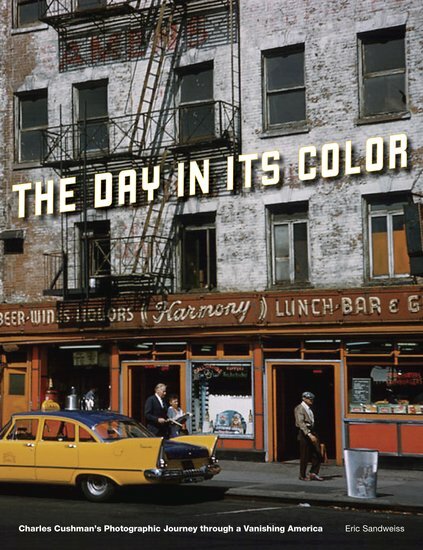 Charles Cushman was no Kerouac, no Robert Frank. Like other amateur artists, he dared not lay his life bare for a public audience, never thought to expose some hidden essence of his soul or his world. Instead, he carefully curated himself, selecting tiny fragments of experience for posterity, burying the rest from others and, probably, himself. Through his rangefinder, he sought out what the poet Wallace Stevens (like him, a man of the nine-to-five world) called “the day in its color”: the limited world as it presents itself to our imperfect senses. Finally pulling off the road, I am beginning to appreciate not so much how a prolific artist puts together that world, but the care with which he conceals all that lies behind it. Knowing what to leave out is as exacting and exhausting a skill as deciding what to put in. 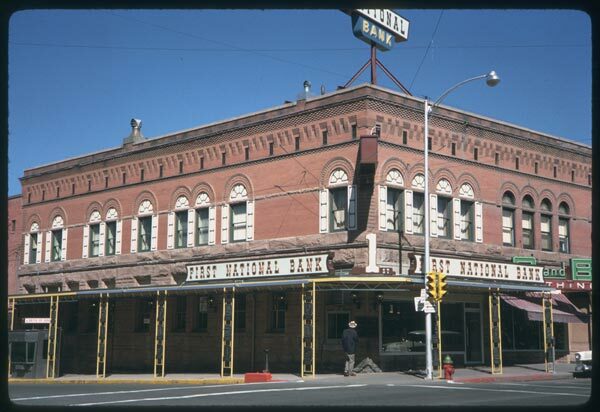 Charles Cushman — a man of many images and almost no words — has, I believe, left out a great deal. His photographs, for all their color, are all that remains to our imperfect senses of a life as full and as mysterious as any.